Irish race-car mechanic Sean Devlin is in Paris during the Nazi occupation. After a Nazi colonel executes his friend, Devlin decides to get revenge by helping the Resistance, and killing the colonel. The Saboteuroffers up a semi-open world feel, as Devlin can complete missions around the city. As he completes missions, the black-and-white world of Paris will begin to colorize. Colorized areas are more free, and the citizens there will aid Sean in his missions, and help attack hostile Nazis. Strangely, the war is almost a secondary event in the game, as Devlin's main focus is revenge. 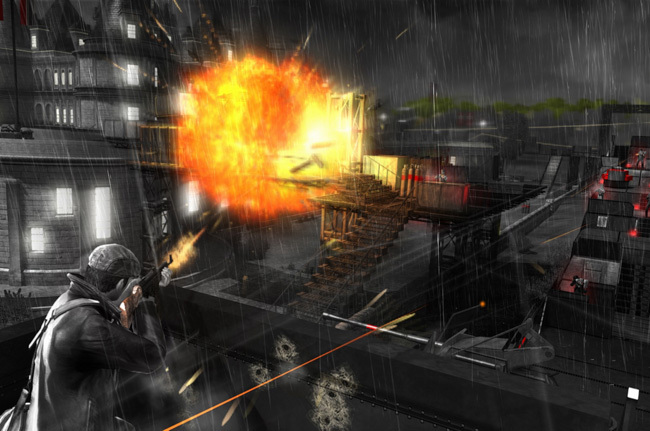 The Saboteur is an often overlooked title, as its developer, Pandemic Studios, was closed shortly after the game was released.